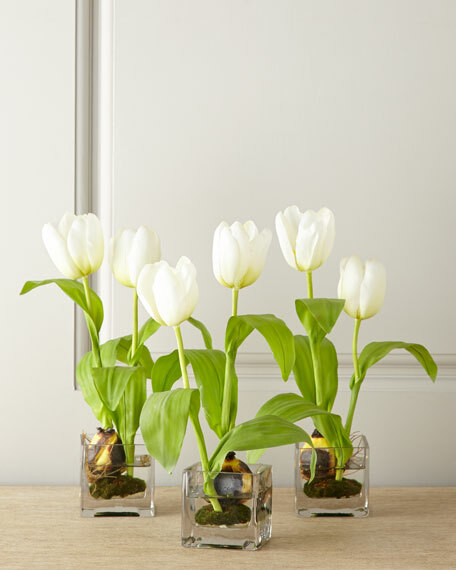 Herald spring anytime you please with this trio of faux tulip arrangements. Glass vases with acrylic "water." Set of three; each, 11"W x 10"D x 13"T.
Handcrafted in the USA of imported materials.